A trailer has been released for Warner Premiere, DC Entertainment and Warner Bros. 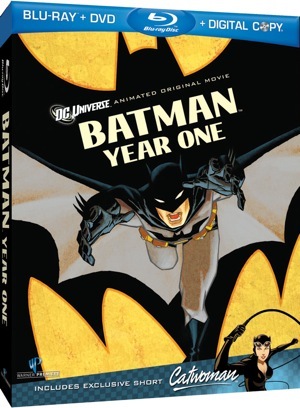 Animation animated adaptation of Frank Miller and David Mazzucchelli’s acclaimed graphic novel Batman: Year One. Some high profile voice talent are attatched to the feature with Bryan Cranston (Breaking Bad) voicing lieutenant James Gordon, Ben McKenzie (The O.C.) as Bruce Wayne/Batman, Eliza Dushku (Dollhouse) who will provide the voice for Catwoman, and Katee Sackhoff (Battlestar Galactica) is Detective Sarah Essen. The 70 minute film will come with a DC Showcase short entitled 'Catwoman' and is due for release in September on Blu Ray and DVD.